There are a few common mistakes that most students make while writing, but there is a method to the madness. Navigating the science journal landscape and submission process has become more difficult, so the key is organizing all your files in advance of submission. Preparing figures and tables in a publishable format is difficult, but there are methodical ways to simplify the process. It takes some work to turn a thesis or dissertation into a publishable article. In association with providing guidance to the supervising editors, the reviewer’s responsibility is to be objective, fair and provide clear statements that are of value to the writer in helping them to improve their science. Optimally, peer review is dependent on reciprocal altruism, wherein responsible referees are prompt, thorough, fair and constructive. In this webinar, Estuaries and Coasts co-editor-in-chief Si Simenstad will provide some guidance and advice on how to be an effective peer reviewer. 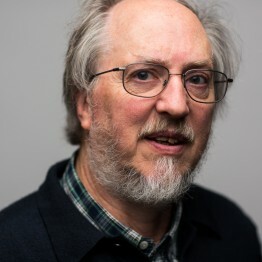 Dr. Paul Montagna received a Ph.D. from the University of South Carolina (1983), and completed a postdoctoral fellowship at the Lawrence Livermore National Laboratory (1986). He was a professor at the University of Texas at Austin, Marine Science Institute from 1986 – 2006, where he was the creator and founding manager of the Mission-Aransas National Estuarine Research Reserve in 2006. In September 2006, he became the Endowed Chair for Ecosystem Studies and Modeling at the Harte Research Institute for Gulf of Mexico Studies. He is also a Professor, Department of Physical & Environmental Sciences; and Regents Professor, Texas A&M University System. His research focuses on two major themes: freshwater inflow necessary to maintain the ecological health of estuaries; and biological and ecological effects of offshore exploration and production on continental shelves and the deep-sea, including oil seeps and spills. 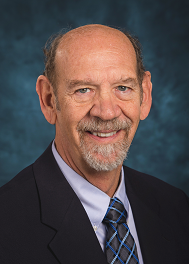 Paul has a long history with CERF having chaired the 1995 Biennial Meeting in Corpus Christi, Texas, served on the CERF Board 1997-2001 and 2005-2007, and been Co-Editor in Chief for Estuaries and Coasts since January 2017. Charles “Si” Simenstad is an estuarine/coastal marine ecologist who studies fish habitat associations, community interactions and food webs, with a particular focus on Pacific salmon in the Pacific Northwest region. The two questions that form the base of his research are: What controls an ecosystem’s ability to support fish such as juvenile Pacific salmon? and, What might alter the integrity of the relationship between salmon and the landscape? His work thus covers a variety of topics, from what juvenile salmon prey on while they are growing in estuaries, to the influence of landscape structure on fish behavior in coastal wetlands. Additionally, he is deeply involved in estuarine/coastal habitat restoration from San Francisco Bay north to Alaska. In recognition of his efforts, he was awarded NOAA’s Nancy Foster Habitat Conservation Award.